First of all some of you might ask… what is this Crazy Connection? The Crazy Connection is a dream of 3 friends to have a place to live their vision of style and creativity. The therapy for after-christmas-blues. 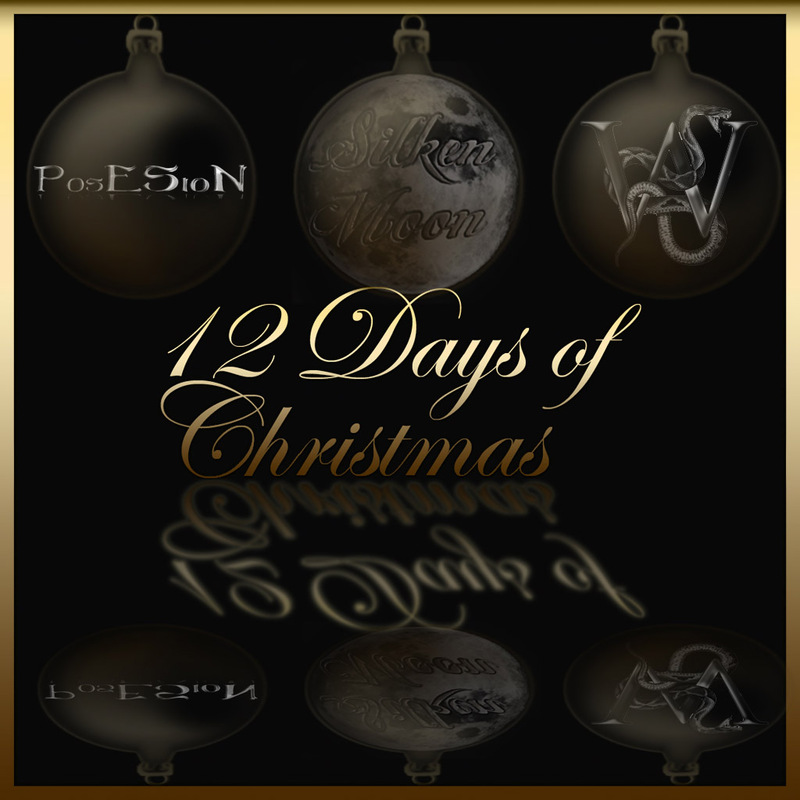 Stop by and grab your daily chance winning one of the exclusive Crazy Connection gifts to lighten the 12 days of christmas. 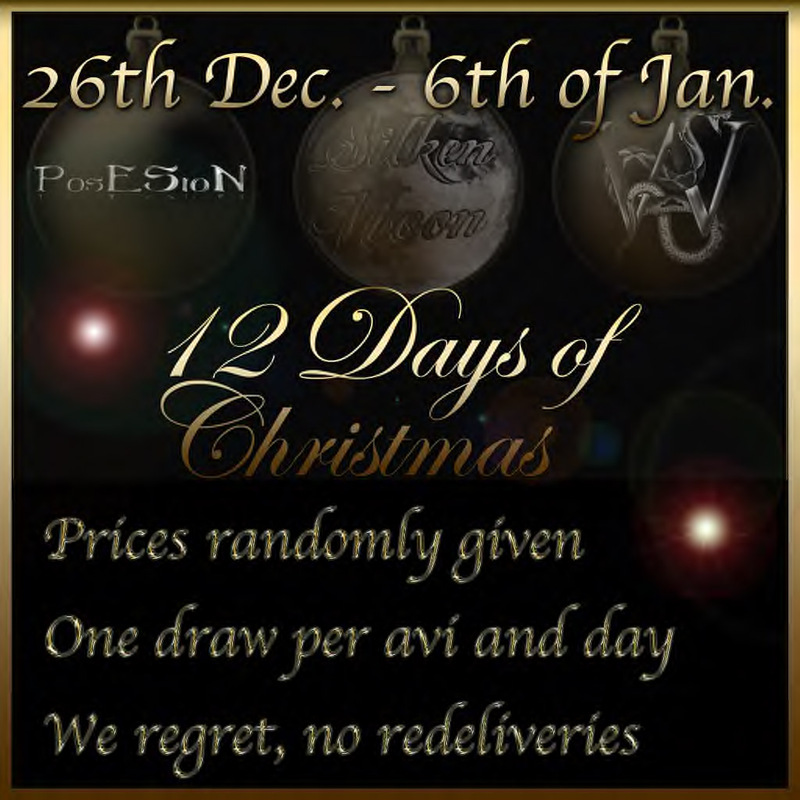 It starts today and every day you have a chance of winning amazing gifts from the 3 designers of the Crazy Connection. All the items you see on the picture above are in the raffle giver… so what are you waiting for? Everyday you have a new chance to click it and pull one of those wonderful gifts! This entry was posted in Crazy Connection, Fashion, Gifts & Dollarbies, New Releases, Poses, Wicca's Wardorbe and tagged 3D, 3D people, adventskalender, Art, avatar, Blog, Blogger, christkind, christmas, claw boots, Clothing, Couture, Crazy Connection, cristmas corset, Dahriel, dollarbie, Fashion, Fashion in Pixels, fashion poses, Female Clothing, female wear, Formal, formal attire, Free gift, free raffle, geschenk, Gift, Gold, green, Hair, High Fashion, hunt prize, Jewelry, Malicia Python, meta virtual, Model, model pose, Model Poses, Modeling, Modeling pose, Modeling Poses, New, New Release, New Releases, News, photographer, Pose, Posesion, raffle, random prize, red, santa claus, Second Life, Secondlife, SL, SL Clothing, SL Fashion, SL Style, Style, umsonst, Virtual World, weihnachten, weihnachts geschenk, Wicca, Wicca Merlin, Wicca's Wardrobe, woman. Bookmark the permalink.